Master printmaker Todd Anderson’s practice involves long-term, team-based projects that investigate ecological changes to wilderness caused by global warming. He works in the ancient tradition of woodblock printing using as many as 15 colors in a single print. Anderson is committed to preserving the romantic beauty of the natural world but at the same time drawing attention to the dire and uncertain futures of these landscapes. 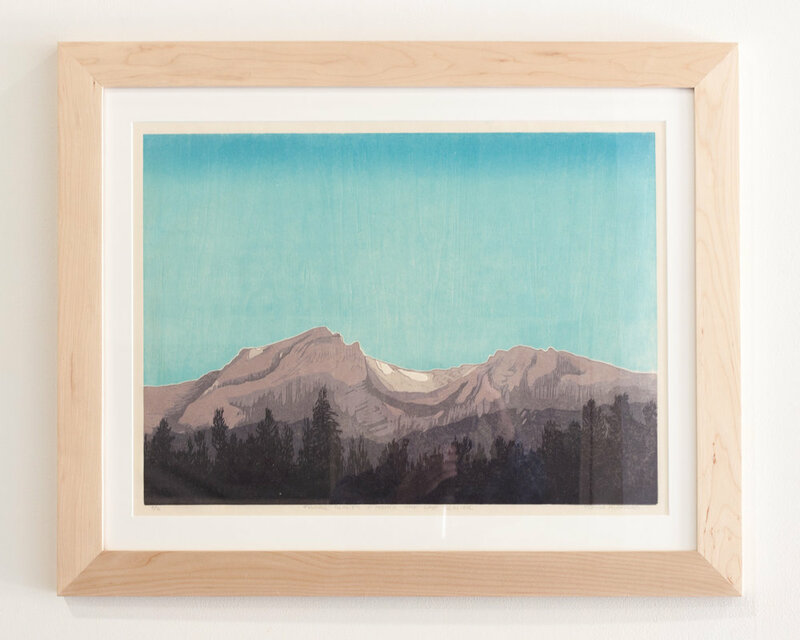 Anderson returns to the gallery with a new series of works featuring the stunning vistas and unmatched beauty of Rocky Mountain National Park. We look forward to seeing you by the gallery!